Sergiev Posad, Russia - May 28, 2016: A Street Painter Draws A Picture Of The Cathedral Of The Holy Trinity-St. Sergius Lavra. Sergiyev Posad Is Included Into The Golden Ring Of Russia And Is A Pilgrimage Center Of The Christian World. Фотография, картинки, изображения и сток-фотография без роялти. Image 62936046. 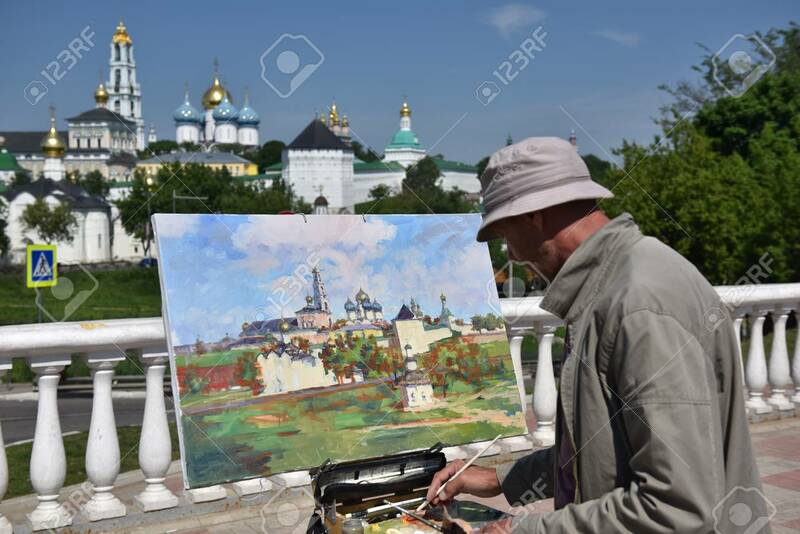 Фото со стока - Sergiev Posad, Russia - may 28, 2016: a Street painter draws a picture of the Cathedral of the Holy Trinity-St. Sergius Lavra. Sergiyev Posad is included into the Golden ring of Russia and is a pilgrimage center of the Christian world. Sergiev Posad, Russia - may 28, 2016: a Street painter draws a picture of the Cathedral of the Holy Trinity-St. Sergius Lavra. Sergiyev Posad is included into the Golden ring of Russia and is a pilgrimage center of the Christian world.